We all get a little lost along the way; caught up in this and that, we forget ourselves… we “lose the music.” It’s in those moments that we can rely on family, friends, and song to bring back the light and help it shine. Glowing with love, faith, and passion, Coyote’s Choir’s uplifting and catchy debut single “Sing!” sparks a fire deep inside us, rekindling doused flames and galvanizing our spirits in an exultant proclamation of life’s beauty. When did the tempo slow? How did the joyous sound slip away? Atwood Magazine is proud to be premiering the lyric video for Coyote Choir’s debut single “Sing!”, the first track off their upcoming debut album Vol. 1. The Nashville heartland-inspired pop trio of brothers Jason and Paul Watkins and Mathew Linton, Coyote Choir introduce themselves with a call to action: “Come on sing with me,” they urge in their debut’s passionate chorus, inviting a community of strangers to join and hands and stand together as one. Life has a sinister way of beating us down; of taking the fun out of the things we love. Stress and tension build over time, draining our batteries and our smiles. “Sing!” is a valiant attempt to revive the world’s magic; to find our way back to that special place where being wide-eyed isn’t naive, but opportunistic; where every day is full of possibility and excitement; and where music can wash over you, a healing and revitalizing force of nature. Reclaim your narrative; make it your life. As if “Sing!” weren’t infectious enough, Coyote Choir’s lyric video is a clever and instantly memorable karaoke experience featuring three stylishly-dressed cowboy mannequins. It’s as if they know their song is ridiculously invigorating, and intend to drill their words into our conscious: Our eyes are instantly drawn to the ever-moving karaoke screen, picking up each word a second before it’s sung. It can be so difficult, especially in today’s crowded musical environment, for an upstart band to break through the noise. 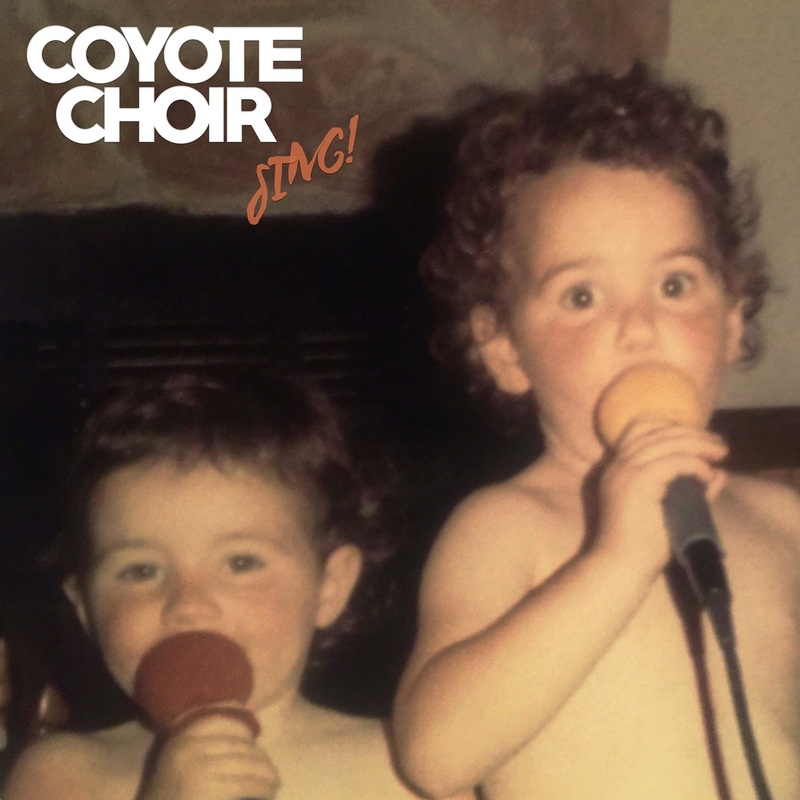 Coyote Choir put considerable thought into how they would introduce themselves, but the most important element shining through their music is its honesty: “Sing!” resonates with love and affection, radiating with a cozy, driving heartland heat that awakens something deep inside – a feeling we seem to have lost along the way. Stream Coyote Choir’s “Sing!” exclusively on Atwood Magazine, and let the light back in. Where did the passion fly? How do you raise the dead back to life?